The eight papers in this volume do not address a single 'generic' theme or topic. 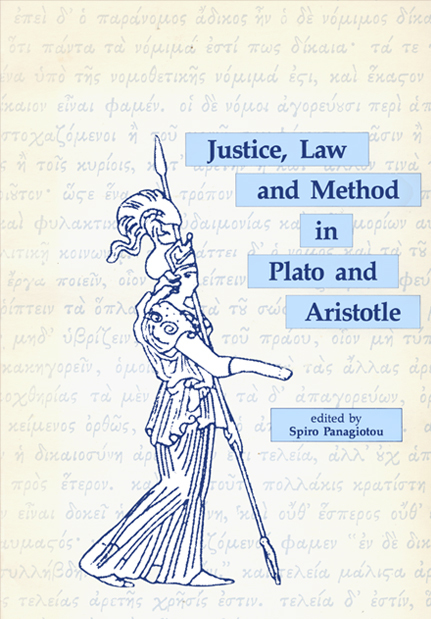 The common, 'generic' thread in the essays is that they all have to do with something or other in Plato's or Aristotle's views on justice, law or method. There is, however, 'specific' uniformity in the subject-matter of various sub-groups of the chapters. Given the nature of the 'generic' or 'specific' uniformity in the subject-matter of the papers, the introduction simply offers an outline of the general line taken in each chapters and, where applicable, in the commentary to it. Contributors: R.E. Allen, Brian Calvert, Kenneth Dorter, Constantine Georgiadis, David L. Hitchcock, Brad Inwood, Spiro Panagiotou, T.M. Robinson, Roger A. Shiner, Michael C. Stokes, W.J. Waluchow, Ernest J. Weinrib.